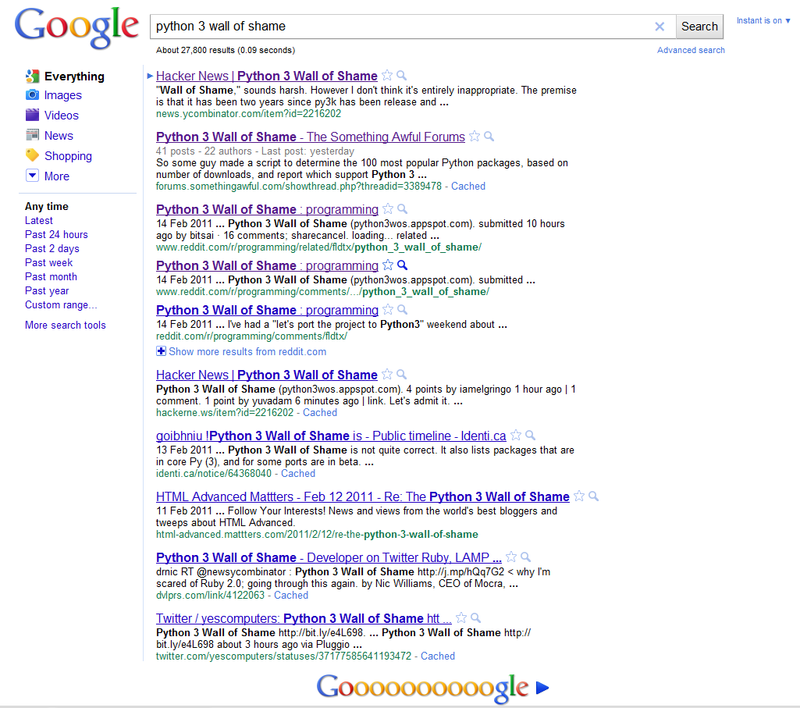 Search results for "Python 3 Wall of Shame"
You can see that on the first page of google results you can find a million references to the wall, but no links to the actual website or blog post. The same can be said about results for "python3wos" which isn't even a word but it's the subdomain of the site. It's not too bad since in most of these results the real website is just a click away. I just really don't understand what happened, maybe I did something wrong?. Anyhow, it's pretty obvious that all the kids are only using facebook to communicate nowadays. Soon they'll just feel comfy with facebook's bing search, a few years of that and the game will be over. Here's to hoping google sharpen their edge. edit - a few hours after writing this article, the search "python 3 wall of shame" is now fixed, though "python3wos" still gets you only to links. 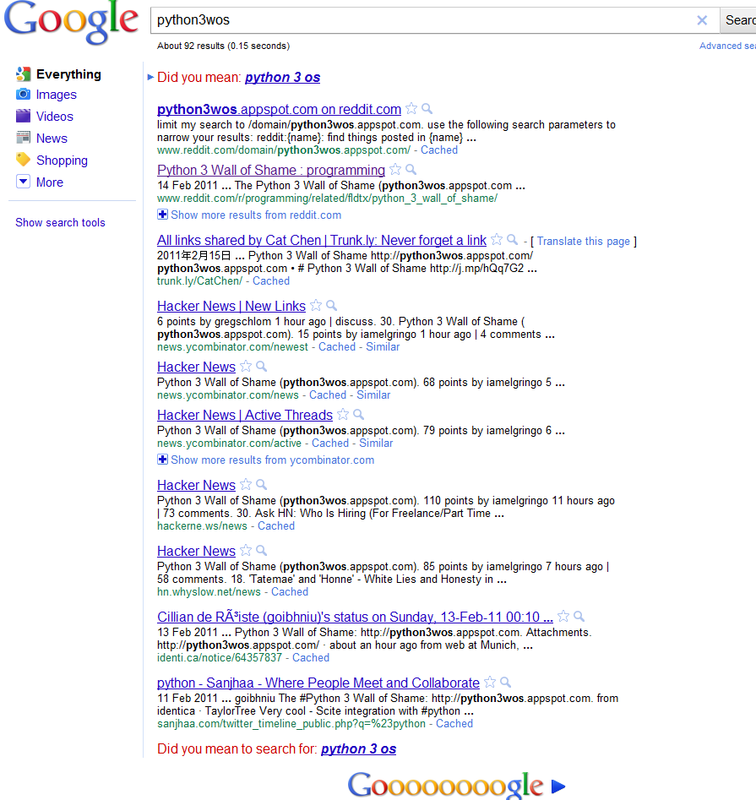 Lets do an seo experiment, I'll add this link python3wos here and add the word "python3wos" on the wall.